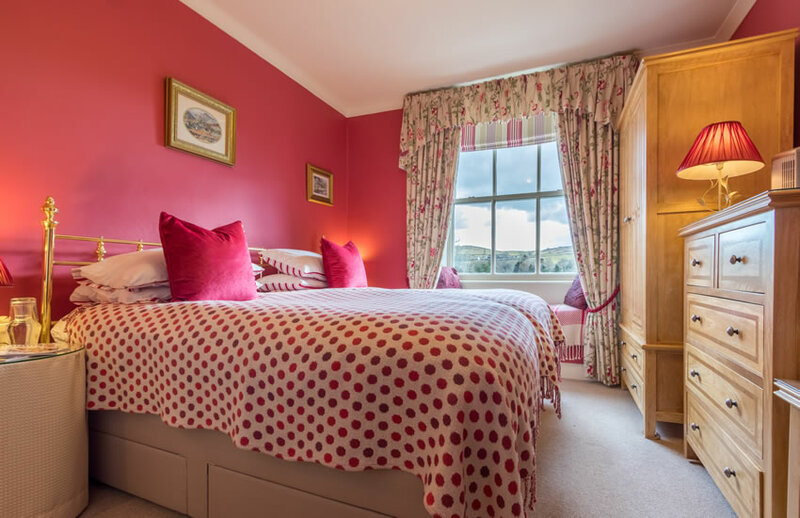 We aim to cater for the needs of all visitors in our home based, silver award, 4 star bed and breakfast. 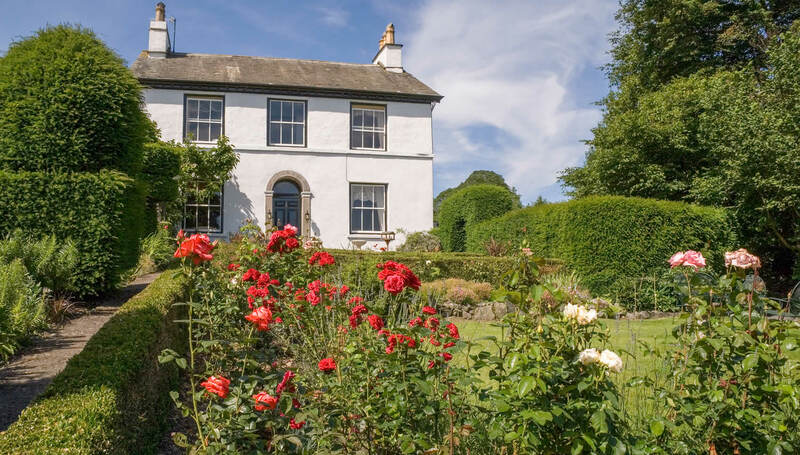 The traditionally-built Lakeland-stone house, built in the early 19th Century as a gentleman's residence, sits in a magnificent topiary garden backed by a stream and overlooking the indigenous country side. Although many changes have been made, the essential character of the property remains as it was when it was built. For example, all the bedrooms are on the first floor and it is impractical to install a lift to access these. Therefore we may not be able to accommodate those with severe mobility impairment. As a small business, we are able to provide a personalised service to meet specific needs if required. The following statement is a summary of our provision. If you have any specific questions please feel free to call us and we will endeavour to help. An email or letter is always sent to guests after we have taken an accommodation booking. It gives full details of the accommodation booked, payment arrangements, cancellation policy, check-in times and directions. We also ask for a contact number on the day of arrival. Our web site gives both written directions and a map to the B&B via road and public transport. There is a bus stop 100 metres from the drive entrance along level paths and there is a frequent bus service. The nearest train station, Windermere, is 5 minutes away by car. We have a website with photographs of each guest room, all on the first floor. There is private car parking for 6 cars at the rear of the house. Access is via a gravel drive with a slight gradient. The entrance is accessed along the gravel drive followed by concrete paths; there are two steps with a threshold into the hallway. The driveway is lit by solar powered lights at night. The front and rear of the house are lit by coach style lights. The front door is always locked but we do have a bell push to the left of the door. Our check-in times are 3pm-7pm daily unless previously arranged. We are always available to help with luggage which can be left in our safe keeping prior to 3pm. Once registered you will be given the key to your room and the front door to come and go as you please. There are two steps 10cm high and 109cm wide to the front door. The entrance is well lit by coach style lights on either side. The front door is half glazed and is 104cm wide. Entrance is into a Victorian encaustic tiled hallway. The Hallway is 120cm wide. Paper pad and pen is available. Guests are always escorted to rooms and facilities explained. The Guest Lounge and Dining Room are on the ground floor. The Staircase, Dining room and Guest Lounge are carpeted. The staircase has a hand rail on one side. There are 9 steps to 1st landing and further 7 steps to 1st Floor. All doors have self closers. Corridors and stairs are well lit during normal operating hours. All guests share a 6 seater rectangular table which has an underspace of 67cm. The chairs are without arms and can be moved. A baby's highchair is available on request. Vegan, vegetarian, gluten free and other diets can usually be accommodated, but please let us know in advance. The guest lounge is accessed from the hallway adjacent to the front door. The lounge door is 78cm wide and has a self-closing device fitted for fire safety compliance. The lounge has an array of comfortable settees and arm chairs with easy access around the room. Satellite TV, DVD and video are available for guest use. There is a bookcase containing a variety of games, books, Lake District travel guides and maps for guest's use. A small collection of DVD's and Video's for use in the Lounge or guest bedrooms. We have beautiful, well maintained gardens to the front and rear of the house with 4 seating areas for our guest's enjoyment. All three bedrooms are on the first floor and are carpeted. There are en suite facilities in all the rooms consisting of a shower, WC and wash basin. A cordless kettle with tea and coffee facilities are provided. All rooms have remote-controlled colour televisions with either built in DVD player or video player, teletext is available in some rooms. We also provide a hairdryer, additional pillows and blankets in each room. Fans are available on request if required. Our beds are made with down duvets and feather pillows. We supply both synthetic duvets and pillows if required. We are happy to provide sheets and blankets if preferred. Please specify, before your arrival, if required. There is a wardrobe, a dressing table, drawers and one or two seats in each room. There is a guest information folder in each bedroom, which contains details of the residence, and emergency contact numbers including doctors and hospitals in the area. Lighting levels are good throughout and colour contrasts are maintained wherever possible. Each bedroom has its own characteristics and these are described in detail below. The Iris room is at the back of the house on the right at the top of the stairs. It has a 4 foot 6 inch double bed, with a height of 60cm. There is good circulation space to either side. There is a two-seater window seat which is 190cm wide. The entrance door measures 79cm wide. The room has 1 radiator that is thermostatically controlled. The en-suite shower room is accessed through a 63cm wide door, which slides open. The shower cubicle has a step of 18cm and measures 70cm by 70cm internally. The toilet is 42cm high. The Rose room is at the front of the house over looking the Topiary Garden. 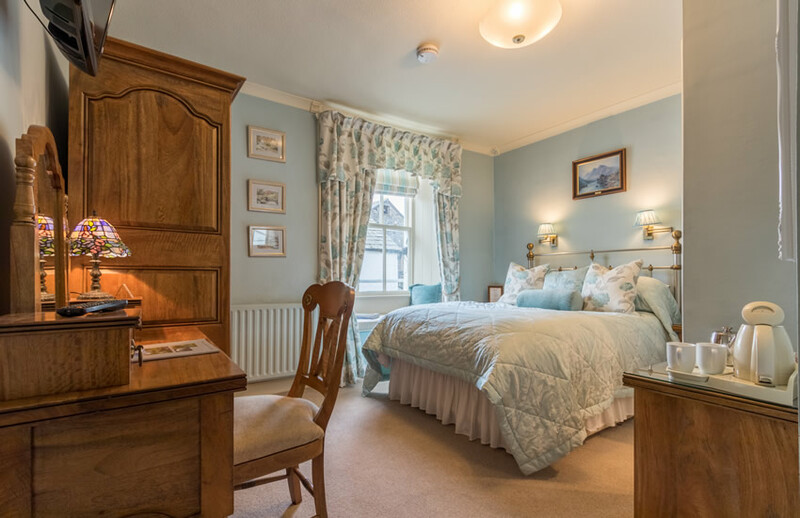 This room can either provide two 3 foot single beds, each of which can only be accessed from one side or one 6 foot super king-size bed which has good circulation space to either side. Please specify, before your arrival, if required. They are 65cm high. There is a two-seater window seat which is 190cm wide. The entrance door measures 79cm wide. The room has 1 radiator that is thermostatically controlled. The en-suite shower room has an entrance door measuring 63cm, which slides open. The shower cubicle has a step of 15cm and measures 70cm by 70cm internally. The toilet is 42cm high. The Lilac room is at the back of the house on the left at the top of the stairs. 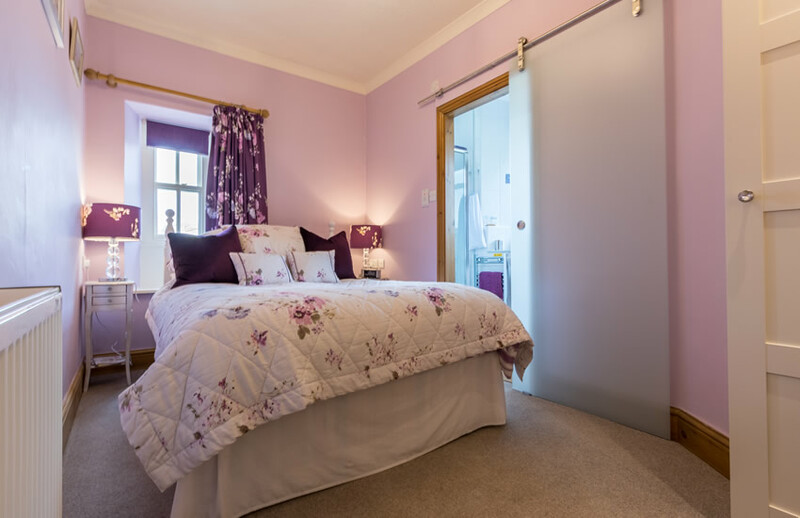 This room has a 4 foot 6inch double bed, with a height of 60cm which can only be accessed from one side. The entrance door measures 79cm wide. The room has 1 radiator that is thermostatically controlled. The en-suite shower room is accessed through a 63cm wide bi fold door, which opens outwards. The shower cubicle has a step of 13cm and measures 70cm by 70cm internally. The toilet is 42cm high. The rear garden is laid to lawn with shrub borders and a small wildlife pond and slopes down towards the River Gower. There is a seating area adjacent to the river which is accessed via two stone steps. The front garden features magnificent yew topiary, sweeping lawns, herbaceous borders and a rose garden. There are three seating areas to the front. There are a mixture of concrete and gravel paths and a step to the lower part of the garden. There is an audible fire alarm system throughout the house; we ask that guests who are hard of hearing notify us upon arrival so that alternative arrangement can be made. Mobile phone reception is reasonable for Vodaphone, but otherwise poor. We endeavour to meet your needs as far as we are able, but the house is not permanently manned throughout the day. If you have any concerns or queries, please contact us to discuss these.